Here it is. The Full List of all Mounts currently in the game. The best way to find what your looking for is to just search crtl+f and type the mount you need. Also you can type the achievement to see the mount it corresponds to. Subdued Seahorse, Reins of Poseidus - Game Guide - World of Warcraft , drops from Poseidus in Vashj'ir, with a GUARANTEED drop chance. Swift White Hawkstrider, Swift White Hawkstrider - Game Guide - World of Warcraft , drops from Kael'thas Sunstrider, in Magister's Terrace, with a LOW drop chance. Swift Zulian Panther, Swift Zulian Panther - Game Guide - World of Warcraft , drops from High Priestess Kilnara, in Zul'Gurub, with a VERY LOW drop chance. Time-Lost Proto Drake, Reins of the Time-Lost Proto-Drake - Game Guide - World of Warcraft , drops from Time-Lost Proto Drake, in Storm Peaks, with a GUARANTEED drop chance. Twilight Drake, Reins of the Twilight Drake - Game Guide - World of Warcraft , drops from Sartharion 25m, in Obsidian Sanctum, with a GUARANTEED drop chance (IF all 3 drakes are up). Vitreous Stone Drake, Reins of the Vitreous Stone Drake - Game Guide - World of Warcraft , drops from Slabhide, in The Stonecore, with a VERY LOW drop chance. Blue Qiraji Resonating Crystal, Blue Qiraji Resonating Crystal - Game Guide - World of Warcraft , drops from trash in AQ40, with a FAIRLY COMMON drop chance. Green Qiraji Resonating Crystal, Green Qiraji Resonating Crystal - Game Guide - World of Warcraft , drops from trash in AQ40, with a FAIRLY COMMON drop chance. Yellow Qiraji Resonating Crystal, Yellow Qiraji Resonating Crystal - Game Guide - World of Warcraft , drops from trash in AQ40, with a FAIRLY COMMON drop chance. Red Qiraji Resonating Crystal, Red Qiraji Resonating Crystal - Game Guide - World of Warcraft , drops from trash in AQ40, with a SEMI-LOW drop chance. Amani Battle Bear, Amani Battle Bear - Game Guide - World of Warcraft , drops from Hazlek's Trunk (IF SPEED RUN IS COMPLETED), in Zul'Aman, with a GUARANTEED drop chance. Armored Razzashi Raptor, Armored Razzashi Raptor - Game Guide - World of Warcraft , drops from Bloodlord Mandokir, in Zul'gurub, with a VERY LOW drop chance. Ashes of Al'ar, Ashes of Al'ar - Game Guide - World of Warcraft , drops from Kael'thas Sunstrider, in Tempest Keep, with a VERY LOW drop chance. Azure Drake Mount, Reins of the Azure Drake - Game Guide - World of Warcraft , drops from Malygos, in The Eye of Eternity, with a LOW drop chance. Blazing Drake, Reins of the Blazing Drake - Game Guide - World of Warcraft , drops from Madness of Deathwing, in Dragon Soul, with a VERY HIGH drop chance. Blue Drake Mount, Reins of the Blue Drake - Game Guide - World of Warcraft , drops from Malygos, in The Eye of Eternity, with a LOW drop chance. Blue Proto-Drake, Reins of the Blue Proto-Drake - Game Guide - World of Warcraft , drops from Skadi the Ruthless, in H Utgarde Pinnacle, with a VERY LOW drop chance. Drake of the North Wind, Reins of the Drake of the North Wind - Game Guide - World of Warcraft , drops from Altairus, in H The Vortex Pinnacle, with a VERY LOW drop chance. Drake of the South Wind, Reins of the Drake of the South Wind - Game Guide - World of Warcraft , drops from Al'Akir, in Throne of the Four Winds, with an EXTREMELY LOW drop chance. Experiment 12-B, Experiment 12-B - Game Guide - World of Warcraft , drops from Ultraxion, in Dragon Soul, with a VERY LOW drop chance. Fiery Warhorse, Fiery Warhorse's Reins - Game Guide - World of Warcraft , drops from Attumen the Huntsman, in Karazhan, with an EXTREMELY LOW drop chance. Flametalon of Alysrazor, Flametalon of Alysrazor - Game Guide - World of Warcraft , drops from Alysrazor, in Firelands, with a VERY LOW drop chance. 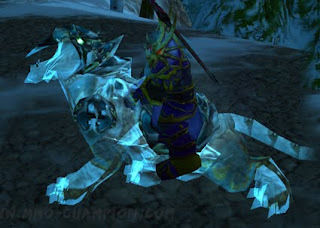 Grey Riding Camel, Reins of the Grey Riding Camel - Game Guide - World of Warcraft , drops from Dormus the Camel-Hoarder, in Feralas (instanced version, access by finding a Mysterious Camel Figurine), with a GUARANTEED drop chance. Invincible, Invincible's Reins - Game Guide - World of Warcraft , drops from The Lich King , in H Icecrown Citadel, with a VERY LOW drop chance. Life-Binder's Handmaiden, Life-Binder's Handmaiden - Game Guide - World of Warcraft , drops from Madness of Deathwing, in H Dragon Soul, with a VERY HIGH drop chance. Onyxian Drake, Reins of the Onyxian Drake - Game Guide - World of Warcraft , drops from Onyxia, in Onyxia's Lair, with an EXTREMELY LOW drop chance. Phosphorescent Stone Drake, Reins of the Phosphorescent Stone Drake - Game Guide - World of Warcraft , drops from Aeonaxx, in Deepholme, with a GUARANTEED drop chance. Pureblood Fire Hawk, Smoldering Egg of Millagazor - Game Guide - World of Warcraft , drops from Ragnaros, in H Firelands, with a GUARANTEED drop chance. Raven Lord, Reins of the Raven Lord - Game Guide - World of Warcraft , drops from Anzu, in H Sethekk Halls, with a VERY LOW drop chance. Rivendare's Deathcharger, Deathcharger's Reins - Game Guide - World of Warcraft , drops from Lord Aurius Rivendare, in Stratholme, with a VERY LOW drop chance. Grand Black War Mammoth, Reins of the Grand Black War Mammoth - Game Guide - World of Warcraft , drops from Archavon the Stone Watcher, in Vault of Archavon, with a VERY LOW drop chance. Crimson Deathcharger, Reins of the Crimson Deathcharger - Game Guide - World of Warcraft , acquired from quest: Mograine's Reunion - Quest - World of Warcraft , in Icecrown Citadel. Abyssal Seahorse, Subdued Abyssal Seahorse - Game Guide - World of Warcraft , acquired from quest: The Abyssal Ride - Quest - World of Warcraft , in Kelp'thar Forest. Venomhide Ravosaur, Whistle of the Venomhide Ravasaur - Game Guide - World of Warcraft , acquired from quest: They Grow Up So Fast - Quest - World of Warcraft , in Un'Goro Crater, HORDE ONLY. Sandstone Drake, Vial of the Sands - Game Guide - World of Warcraft , requires: 525 Alchemy to make, Alchemy however is NOT required to learn it. Sea Turtle, Sea Turtle - Game Guide - World of Warcraft , acquired from Fishing in pools of water in Northrend or Cataclysm areas. Mechano-Hog, Mechano-Hog - Game Guide - World of Warcraft , requires: 450 Engineering to make, Engineering however is NOT required to learn it. Mekgineer's Chopper, Mekgineer's Chopper - Game Guide - World of Warcraft , requires: 450 Engineering to make, Engineering however is NOT required to learn it. Other Rare Mounts *NOTE: Some of these MAY be unobtainable at the moment!